About the Book: Taylor's life just got turned upside down. She is not made for country living, but her parents have just uprooted her to a small town farm in the middle of nowhere. Now instead of trips to the Mall of America, Taylor is spending her time with sheep, ducks, chickens and goats. As her farm life keeps landing her in one disaster after another and chicken poop, Taylor devises a plan to get her parents to move back to the city where she belongs. 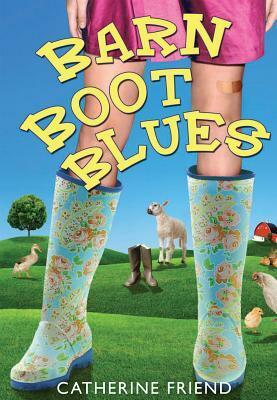 GreenBeanTeenQueen Says: Barn Boot Blues is a cute look at transitions and changing what you've always known. Taylor hates the farm, but it's her moms dream to own animals and a farm, so Taylor isn't going to have an easy time convincing her parents it's time to move. Much to Taylor's surprise, she actually has a talent for living on a farm and learns to spin wool. As she learns about life on the farm readers will learn along with her about what it takes and how strong you can be even when you least expect it. Barn Boot Blues is a nominee for our state book award list next year and I think the tweens will love it. Taylor's voice is hilarious and charming and her adventures are laugh out loud funny. I also felt this one had a lot of great discussion points to it with Taylor adjusting to a new way of living, making new friends, and learning to be independent and discover her talents. I'm especially interested in how this one will be in book discussions with our tweens because I work in a "big city" (that's not really that big) with many surrounding farms and small towns. 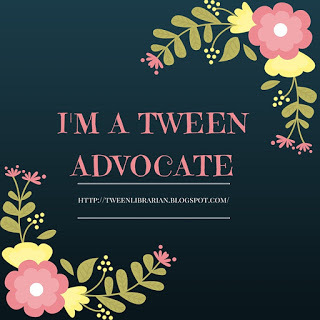 I think many of my tweens will relate to Taylor's adventures and while her farm life might not be new to them, it does bring up an interesting look at how those who are not used to small town life look at it on the outside. I listened to this one on audio and Kate Rudd gives an excellent narration. She really sounds like Taylor and matches her frustration, annoyance and yet her sometimes excitement perfectly. It's a short book but it's lots of fun and I can't wait to share it with my tween readers.